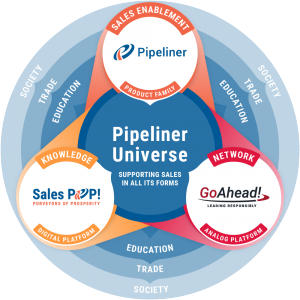 The Pipeliner Universe - SalesPOP! 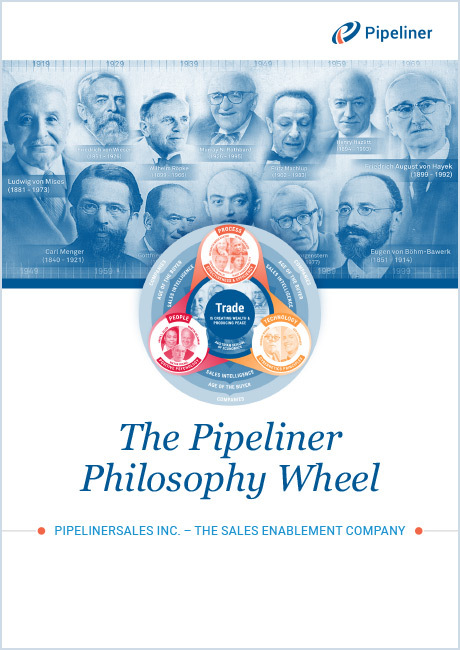 The Pipeliner Universe has one thing in common: today’s buyer. We all know that because of the internet, today a buyer is well-educated before he or she ever reaches out to a vendor. Markets are totally buyer-driven. This radical shift in buyer characteristic has meant that the salesperson and the sales manager must have a total change in mindset. In order to succeed, and indeed to survive in business, sales need to constantly create a win-win—a win for the buyer and for the seller. Our product, Pipeliner CRM, has been created from the beginning to totally empower sales in this regard. But we realized that a product wasn’t enough—we needed to educate salespeople and sales managers on the principles of today’s radically changed sales landscape. For that reason, we created our online multimedia content platform SalesPOP! aimed at helping usher all sales teams into the age of the buyer. One more stage was still needed. While it’s fantastic to be able to provide insightful digital content—ebooks, thought leader blog posts, powerful video content and more—we yet live in the real world. We are a gregarious people, and not only crave personal contact but require it. It is from this contact, too, that we assimilate real knowledge. For that reason, we created our networking platform Go Ahead! All three of these platforms interlock to transport sales into this new world of buyer experience. A company is not just a sales department, though. This is why Go Ahead! extends outward to company leadership—CEOs and management—because leadership, foremost, needs to be educated and up to day into today’s changes in business. This education and knowledge transfer moves outward to create robust trade in the world, which has a profound impact on society. What does trade between people, company and nations create? It creates wealth. But far more importantly, trade creates as one of the founder fathers of the Austrian School of economics stated, peace—for nations engaged in trade are never at war, because trade in itself has a peacekeeping component. Is a technology platform built to enable Salespeople & Sales Managers to effectively & efficiently manage their pipeline and drive increased revenue. The combination of its intuitive interface and sophisticated backend, Pipeline CRM delivers Instant Intelligence, Visualized to give sales organizations a competitive edge. Is an analog in-person networking platform where top speakers in cities across the globe deliver valuable, insightful talks to local audiences. These events serve as a way of keeping face-to-face networking alive and flourishing and provide a much needed alternative to the increasingly online and sometimes impersonal interaction that has become prevalent but not always preferable. Is a digital content platform that delivers the best in sales and sales-related content and thought leadership to readers across the globe. Its unrivalled and growing network of contributors brings different, unique perspectives and insights on today’s sales & business issues. By leveraging multiple content formats from written, graphical, video & audio, Sales POP! appeals to the widest audience possible.